Michael James had fought the discharge from the custody of the Department of Health and Human Services’ commissioner following a day-long court hearing Thursday. AUGUSTA — After almost eight years as a patient at Riverview Psychiatric Center, Michael James was ordered discharged from the custody of the Department of Health and Human Services’ commissioner following a day-long court hearing Thursday. James, 31, through his attorney Hank Hainke, said he was not yet ready to leave the hospital because he needs more treatment for the mental defect or disease that put him there. James was a forensic patient, which means he was sent there after being found not criminally responsible of committing a crime. In James’ case, it was for assaulting corrections officers. Treatment providers and others at Riverview, the state forensic hospital, testified Thursday in favor of a complete discharge for James, saying they had done all they could for the man with an antisocial personality disorder rather than a mental illness. Now James is headed to Maine State Prison where he has about eight years remaining on a 12-year robbery sentence from superior court in Auburn plus a couple of years for other assault convictions. James, wearing a white sweatsuit, was accompanied to the hearing in Kennebec County Superior Court by a staff member from Riverview. James left just before 5 p.m. in handcuffs, escorted by deputies, headed for a night next door at the Kennebec County jail before being transferred to prison. In his opening statement, Hainke said James was prepared to listen to the testimony and abide by the judge’s decision. James did not testify. Occasionally patients in the forensic units at the hospital testify on their own behalf. Assistant District Attorney David Spencer, who represents the state, told Justice Donald H. Marden that it is time for James to move on with his life because he no longer suffers from mental disease or defect and should be discharged according to state statute. At least twice Marden reminded those present that the focus of the proceeding was to determine whether James “should or should not be any longer in the custody of the commissioner” of the Department of Health and Human Services. Marden himself placed James there following a 2006 jury verdict finding James not criminally responsible for assaulting corrections officers at the prison. That led to James’ assaulting corrections officers attempting to deal with him. “He reduced to an animalistic state, making things out of his feces and banging his head against the wall,” Marden said. On Thursday, psychiatrists, psychologists and a psychiatric nurse practitioner at Riverview testified about James’ antisocial personality disorder and his bullying behavior designed to manipulate and threaten staff and fellow patients to get what he wants, and occasionally cutting himself to get his way. Alexandar Raev, a psychiatrist at Riverview, said he quit treating James directly after two months last year because he no longer trusted him. Raev said James “perfectly fit the criteria of psychopathy,” and that his actions are intentional rather than impulsive. Brendan Kirby, a psychiatrist who is clinical director at Riverview, said James’s prime pathology is personality disorder and coercive bullying behavior and he lives in a setting with a number of vulnerable individuals, likening that to having a fox in a henhouse. “We at Riverview are looking very, very closely at all our patients and trying to evaluate whether having any of those individuals at Riverview is appropriate,” he told Marden. Kirby also pointed out that it was unusual for the hospital to tell the court that a patient is not benefiting from the care. “This is not an environment that is healthy for him,” Kirby said. Arthur DiRocco, a psychologist, said he tracked 70 incidents involving James between September and March and learned that “90 percent of the behaviors Michael engaged in are disruptive, manipulative types of behaviors, 2 percent of them are physical.” DiRocco testified that James was essentially abandoned by his family and raised by institutions. Ann LeBlanc, a psychologist who is director of the State Forensic Service and has evaluated James for the court a number of times, testified that James’ ability to function has improved since he was found not criminally responsible for his actions in 2006. She said he has improved because of treatment he received at Riverview. After the hearing, Kirby said he understood that James will be placed in the newly opened intensive mental health unit at the prison. Lance Tapley of Augusta, a journalist who befriended James as a result of interviewing him for stories over the years, was the lone witness called by Hainke. He agreed that James’ condition was much improved these days, but disagreed with the doctors’ descriptions of James as manipulative. The courtroom was cleared of all but treatment providers at Riverview almost immediately after the hearing started to allow Marden to watch videos showing James’ violent, threatening behavior at the hospital, one occurring overnight on March 29 and during the day on April 7. Many of the 16 people in the audience at the hearing remained because they work at the hospital. 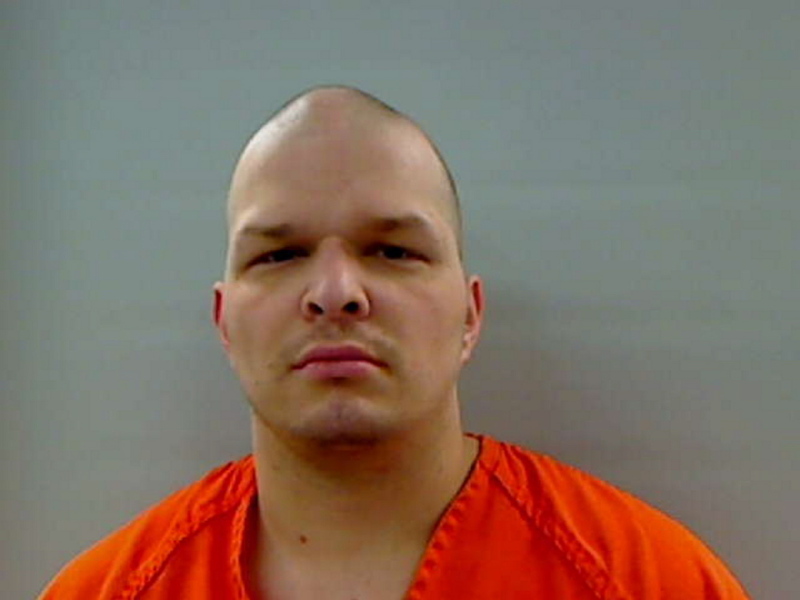 Brian Kimball, a former corrections officer at the Maine State Prison who has been working as an acuity specialist at Riverview since October, testified about the March 29 incident, saying James screamed at people, made verbal threats against staff members and cut himself. Thursday’s discharge hearing for James had been postponed several times. Assistant Attorney General Katherine Greason, on behalf of the hospital, had sought to have it sooner than Thursday. “Every patient who unnecessarily remains at Riverview represents a defendant whose time in jail is extended as he or she waits for a hospital bed to become available,” Greason wrote in a Nov. 7 letter addressed to the presiding justice of Kennebec County Superior Court. James has previously said he was tough to handle when he first came to Riverview. A decision by the Maine Supreme Judicial Court in July 2008 set forth the process for James’s return to prison.